With an array of marine engine packages ranging from 600 horsepower to 1600+ horsepower, Teague's Custom Marine can help you find the solution you need to gain an edge. Their custom marine engines have propelled countless performance boating enthusiasts to wins and records, and their primary goal is to help you find the solutions that works best for your configuration. 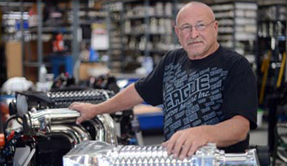 Evolving from one the best shops on the West Coast to an international player in the high-performance marine engine game, Teague Custom Marine has continually pushed the boundaries of high performance offshore durability and power. Its newest creation is the 1400 Quad Rotor EFI. Running on 91 octane pump gas, this monster makes over 1400 horses at 7400 RPM and over 1200 ft/lbs of torque for blistering acceleration. Teague has chosen to utilize the latest generation Whipple Superchargers dual 3.3L screw compressor setup with a massive 6” cupronickel core intercooler for the best efficiency and lowest intake air temperatures we have ever seen in this horsepower range. 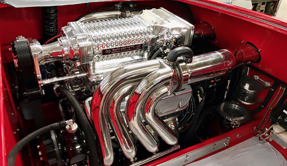 This same configuration can be built for unlimited class racing use or no-holds-barred poker running to make over 1600 horsepower on leaded racing fuel. Furthermore, Dry-Sump oiling is a standard option on Teague engines 1335 horsepower and up, a first for the company. They have found that for sustained 6400+ RPM operation, the enhanced windage control provided by a dry sump system becomes necessary. Technology has woven its way into almost everything we do in the modern world, including high performance boating. Recognizing this industry trend and increased demand for digital integration into the monitoring of the engines and components in powerboats, Teague made changes to their engine wiring harnesses. Standard on all models is an adaptive, active engine protection and warning system, as well as plug and play digital dash hookups for RacePak and NEMA2000 systems. One thing Teague has always done well is achieve unique results for unconventional applications using their fabrication and customization abilities. Whatever challenges a high performance powerboat project presents, Teague can tackle them with clean and custom solutions. 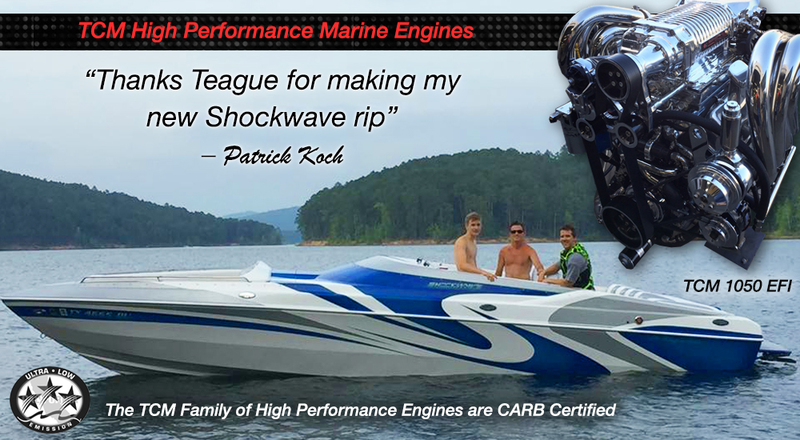 Not only has Teague Custom Marine implemented new configurations for big horsepower, but has put the effort in developing the drivetrain connected to these engines to survive in harsh marine environments. The new Velvet Drive 72-LHP hydraulic transmission and exclusive Severe Duty Drive Plate are standard on all Teague engines configured for surface drive applications. Utilizing 16 forward clutches, the 72-LHP is rated to 2500 ft/lbs of torque and has been proven bullet-proof in even the most abusive environments. Now performance boaters can have racing crash box like durability with the convenience and ease-of-use provided by a hydraulic transmission. 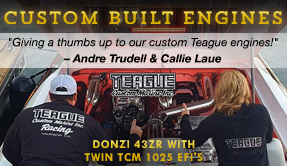 Teague Custom Marine has an entire family of proven EFI engine packages, including the 825, 1050, 1200, and afore mentioned 1400/1600. As of this writing, Teague is one of only three marine engine builders that are California Air Resource Board (C.A.R.B.) and EPA certified for new engine sales in new boats in all 50 states. The 1400 EFI is the most powerful emissions certified engine in the entire nation. With their current certifications already completed, Teague Custom Marine will remain a fixture in the extreme performance arena in the future as regulations become even more stringent.